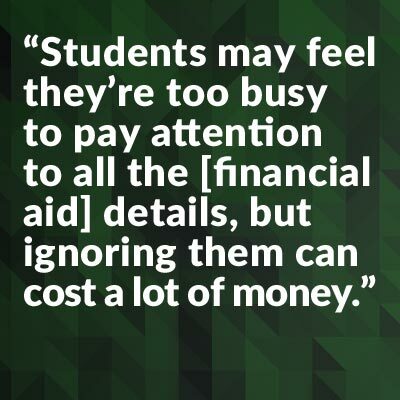 If you don't pay close attention to the financial aid process, you can lose out on college dollars—and that can make anyone scream. In all Nigel switched majors four times and transferred to two different colleges. The path to his bachelor’s degree was taking way longer than the traditional four years. Finally, at 23, he was happily settled in as an elementary education major, with just one semester to go, when the word came down from the financial aid office at his college: he’d run out of eligibility for any more loans and grants. So Nigel decided to drop out for a couple of semesters to earn enough money to complete his degree. Sounds like a good idea, right? Wrong. For Nigel, it was just the beginning of a financial aid nightmare. Without a degree, the only job he could land paid minimum wage—and that left nothing for college savings after his rent and car payment. To make matters worse, his college loans came due six months after he left school. Strapped for cash, his loans went into default and his credit rating tanked. Just one semester short of graduation, he was stuck in the twilight zone; he didn't have enough money to pay for his last term of college, and his credit rating was so bad he couldn't even get a loan. Upwards of 85% of all full-time college undergraduates receive some sort of financial aid help, according to the National Center for Education Statistics. That’s no surprise, considering college costs much more money than most families can afford. The College Board reports that the average yearly tuition and fees at private four-year institutions are about $32,410 these days. Four-year public schools clock in at a less frightening $9,410. 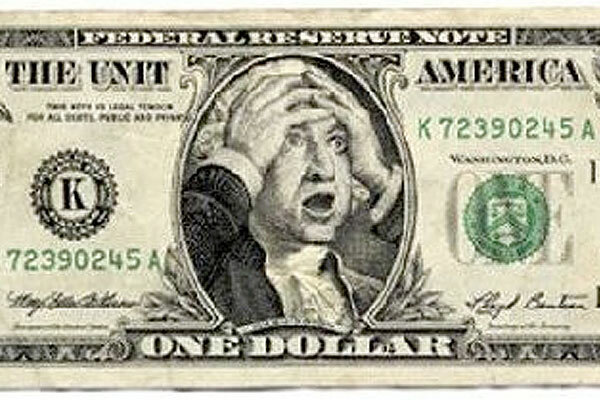 The good news is that the average full-time undergraduate student received over $14,000 in total financial aid in 2014–2015 (also according to the College Board). That includes scholarships, grants, and federal aid. And it's a significant chunk of change. But to get the money you’ve got to know how to play the game or—like Nigel—you could be stuck in a financial nightmare. Still not scared? Here are some more real-life financial aid horror stories. Don’t let them happen to you! Louisa was about to begin her sophomore year at a private university in Texas when she got her financial aid award letter. To her shock, the amount she would receive was about $10,000 less than she’d been awarded as a freshman. Why? Her parents waited too long to fill out the financial aid paperwork and send it in. By the time the school received it, their supply of grant money had already dried up. But don't just meet the deadlines—be an early bird. Send in your Free Application for Federal Student Aid (FAFSA) as soon after October 1 as possible for every year you will be in college (it used to be January 1, but it was moved to October 1 to better match the college application process!). If your college requires any school-specific forms, make sure you send those in well before their deadlines too. Institutions have grant money to help students, but there’s only so much to go around, and if you wait too long, the money could be gone. When Samantha was a high school senior in Los Angeles, she thought she had the solved the mystery of how to pay for college. An outgoing girl who was active in her school’s drama club, she auditioned for television commercials and hit the jackpot. She got a part in a breakfast cereal ad that earned her more than $8,000. But that windfall will end up costing her more than $3,200 in grant money for her freshman year. “This commercial was a one-time deal,” explains Samantha. She had no plans of doing any more while in school. But her college based its financial aid award on the high income that her one-time earnings contributed to. To make up the difference, Samantha had to take on $3,000 more in student loan debt. First things first: put your energy into your studies, and concentrate on getting the best high school grades you can. “Students need to understand that every time they get an A instead of a B, it can increase their financial aid for four years,” explains Connie Cooper, President of College Foundation Planners in Tustin, California. That's often worth way more than anything you'd earn working part-time at a minimum-wage job. Tom, whose parents split up five years before he went to college, lived with his mom in California; they received child support from his dad, who lived in Colorado. A top-notch student, Tom applied and was admitted to six universities—but he wasn’t so smart about getting financial aid help. When he filled out his FAFSA, he reported the income and assets of his father instead of the much lower numbers of his mother. “Basically, I screwed up,” Tom explains. “I ignored the part of the FAFSA that explains what to do if your parents are divorced.” That was a mistake that put all but one of those six universities out of his reach. Students whose parents are divorced should base their FAFSAs on the income of the parent they live with full time. That would have made Tom eligible for substantial grants and scholarships. But by the time Tom learned that lesson it was too late. He filed a corrected FAFSA, but five of his schools had already given out all their grant money. The sixth, an elite private school in California, was able to up Tom’s grant by $9,000, allowing him to enroll. But he had come perilously close to missing out on college entirely. And you thought divorce was complicated already... But when in comes to financial aid, you need to know the rules. Here’s the deal: when you’re filling out your FAFSA, the only parental income to report is that of the custodial parent. That’s not necessarily the parent granted custody by a judge, or even the one who pays your bills; it’s the one you live with most of the time. If the parent you live with has remarried, you will also need to report the income of the step-parent on your FAFSA. Some colleges, usually private ones, will ask for other forms that detail the income of the noncustodial parent. But when it comes to applying for federal financial aid (via the FAFSA), remember: use only the custodial parent's info. If you're unsure, call the financial aid office of each college you're applying to and ask them for help. Nobody in Jill’s family had ever been to college, and her parents were determined that Jill, an honors student, would break that trend. But they didn’t have much money, and the financial aid process seemed daunting. So when they learned about a scholarship search service that, in exchange for a $495 fee, would help them find the money for Jill’s education, they signed right up. “We didn’t know much about college,” says Jill’s mom. “We figured that these people would have the information. We thought they could help us. But it was a waste of money—I could have done it all my own.” After paying $500 up front, Jill’s parents signed forms authorizing the scholarship service to debit $20 a week from their checking account. In return, they received information about federal loans and grants—something they could have learned for free at the high school guidance office. Be cautious. Hundreds of students and their families—already scared they won't have enough money to pay for college and desperate for help—lose money to scholarship scams that prey on those fears each year. Don’t let this happen to you. Watch out for red flags like high-pressure sales pitches that push you to sign up immediately, "guaranteed" scholarships, or any financial aid you need to pay money to get. There is plenty of free financial aid help available online (like on CollegeXpress! For instance, here are our top scholarship search tips). You can also talk with your guidance counselor, consult guidebooks in the library, and use scholarship search tools online. Don’t pay for information you can easily get for free. Josh was ready to start law school in Boston after taking a year off to travel and teach. But a couple of days before his first law class, he learned that his $12,000 loan application had been denied. It turned out that although Josh had made payments faithfully on his $15,000 Stafford college loan during his year off, he’d forgotten to pay back a $400 Perkins loan. “It was a stupid mistake, and it really cost me,” he says. Josh’s family scraped the money together for him by dipping into their savings and borrowing from a bank and family members. But for a few scary days, it looked like his dream of becoming a lawyer might not come true. Missing payments on your college loans can have nasty consequences. Not only can it keep you from getting loans to help you finance graduate school, it can be noted on your credit report, and that can haunt you years later when you try to make a big purchase like a car or a house. Beyond that, make sure you stay on top of your student loan payments so you don't have a nasty surprise like Josh. Always know what you owe. By the time you graduate from college, you might have a dozen different loans from as many lenders, so be sure you sit down with your financial aid officer and go over all the details. Know your deferral options and find out what the monthly payments will be and where to send them. Loan consolidation programs may be helpful. Finally, pay your loans on time. This is really important! And if you’re having trouble making ends meet, call your lenders and let them know. They can arrange for lower monthly payments or even a hardship forbearance until you get back on your feet. Full of financial fears? Don't be. All it really takes is a little thoughtfulness and research in your financial aid planning, and you have nothing to be scared of.